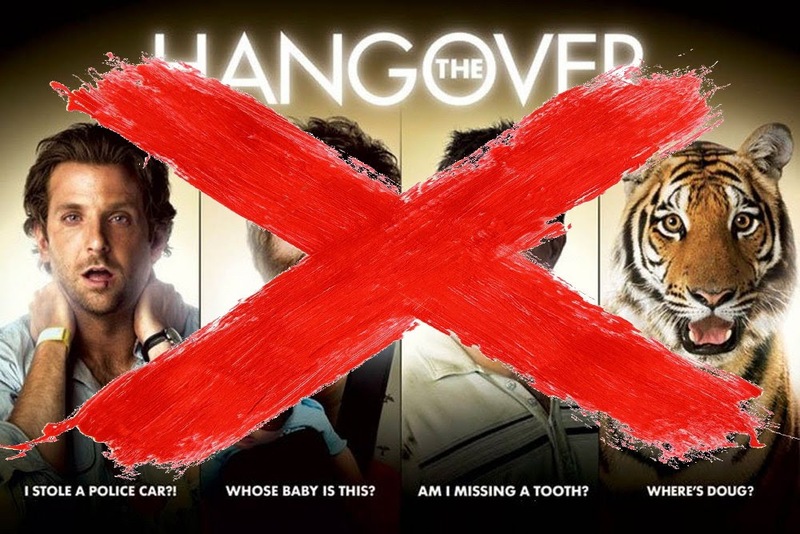 The stag-do from hell; three groomsmen wake up in a Vegas hotel room; plus-one actual live tiger in the bathroom, plus-one six-month-old baby in the closet, minus-one missing groom. No one remembers what happened. I wish I could say the same. I’m still mad at the ‘friends’ who recommended this. Made by a bunch of overgrown Vegas fratboys, for overgrown Vegas fratboys, what is supposed to be amusing in this for everyone else? The ‘comedy’ consists of a lot of swearing, shouting, and manufactured from-bad-to-worse screw-ups, set in the town where nothing can be considered over-the-top. This is clearly what the audience of the Saw franchise go to see for their light relief. Classless, tasteless, idiotic and juvenile, the director Todd Phillips (Road Trip, Old School) with co-‘writers’ Jon Lucas, Scott Moore and the entire cast – Justin Bartha, Bradley Cooper, Ed Helms and Zach Galifianakis – should be named and shamed; instead, this travesty made a ton of money and spawned two sequels, thereby proving that Western culture as we know it is, indeed, doomed.